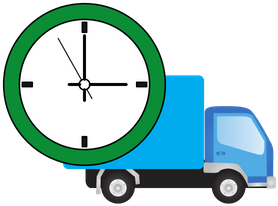 Crescent Beach Movers | NO Fuel or Travel Charges. Get A Free Quote! Time to move again, huh? You don’t have to make that face about it anymore! St. John’s Moving and Storage is here to take the hassle from your moving day! We offer safe and reliable services for residential and commercial moves all over the Crescent Beach area, so it doesn’t matter if you’re moving your entire home or office, we’ve got you covered! Our dependable, specially trained, professional Crescent Beach movers will be there from start to finish of your move! Moving day will be hassle-free with St. John’s Moving and Storage, we make sure your move is a pleasurable experience. Our professional team will take time to ensure each and every piece of furniture is handled with the upmost care. We’ll securely pack, wrap, and place padding on all your belongings, and you don’t even have to empty the drawers! We make sure everything is well protected so you arrive with everything just as it left. Our professional team knows the importance of protecting your valuables and will even crate or secure glass, paintings, Large TV’s, and are fully insured. Here at St. John’s Moving and Storage we want you to have a pleasurable experience with a totally stress and hassle-free moving day! 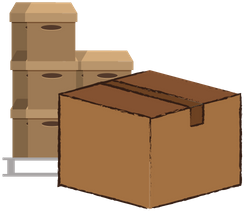 Every one of our Crescent Beach movers are courteous, specially trained, and have the speed, skills, and experience to make your move the best move. Each one of our members has passed a detailed background check and hold themselves to the highest safety standards possible, taking those extra careful steps to ensure a smooth and worry-free move. For extra comfort we are insurance backed with our safe and secure guarantee. Why choose us for your Crescent Beach move? So, with your next move just a short time away, why not call the professionals at St. John’s Moving and Storage and save yourself a hassle in Crescent Beach? Call to speak to one of our customer representatives for your free estimate on your next Hassel-free move with St. John’s Moving and Storage. Whether it’s residential, commercial, long distance, or locally our Crescent Beach movers are here for you! Give us a call today and speak with our friendly staff to get started on the best move of your life! We service the following Crescent Beach zip codes: 32080.